ChromaGun VR will release exclusively for the PlayStation VR on February 19, 2019. The game was announced by Steve Crouse, the Creative Director for Pixel Maniacs, on the official PlayStation Blog. 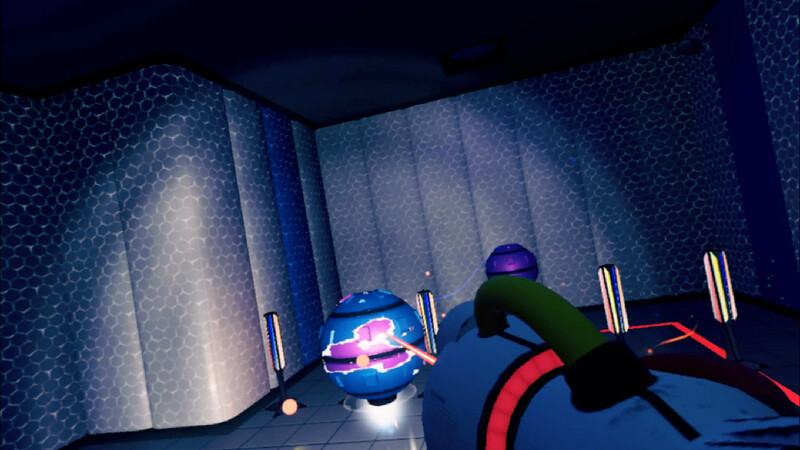 The original ChromaGun was the studio’s debut title and a challenging undertaking for the team. Developing the game’s PSVR version proved to be twice as difficult. Crouse broke down how the team overcame certain challenges and what that means for the game itself. For instance, the team “switched to baked lighting” to “get the performance [they] needed.” This means that instead of the dynamic, semi-realtime lighting players saw back in 2017, the game will feature pre-computed lights. Other changes include the fact that the Color-Defiant Particle Meshes are now displayed as knee-high barriers, rather than ceiling-high walls, although they function the same. Rather than make new chambers for ChromaGun VR, the team opted to create a strong, VR version of the original game. Crouse provided the team’s rationale for this. This was a touchy decision to make, because a lot of levels follow a curve, forcing players to turn around. Had we designed new levels for VR, we could’ve made them lead straight ahead, making it more comfortable to play. But in the end, we wanted players to be able to experience the original ChromaGun in VR, not some watered-down port of the game. When the game originally released, its style immediately had people drawing parallels to Portal, but the manipulation of color aspect has also been seen in more recent releases, such as The Spectrum Retreat. See what we thought of ChromaGun when it released in August 2017 by checking out our review.